Eleven European Rohingya organisations have denounced the Election Commission’s decision to ban Rohingya candidates from standing for parliament as undemocratic according to a 28 August statement from the organisations. 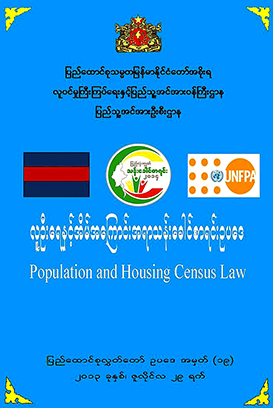 The Election Commission said the candidates were banned from standing because their parent’s were not Burmese citizens. The Rohingya organisations say that these are false and fabricated charges, they say that the real reason the candidates have been barred is because the Burmese government is operating a “policy of exclusion” against the Rohingya. The Rohingya who have been barred from standing for parliament because their parents allegedly were not Burmese are: U Shwe Maung, U Kyaw Min and U Abu Taher. U Shwe Maung, whose father was a Burmese police officer, was elected as a member of the ruling Union Solidarity and Development Party (USDP) to the lower house of parliament in 2010 to represent the Rohingya majority township of Buthidaung in North Arakan State. U Kyaw Min, who served the Burmese government as a teacher and education officer for many years, was elected in the 1990 general election and was one of the members of the Committee for the Restoration of the People’s Parliament (CRPP). U Abu Taher, graduated from Rangoon Institute of Technology. According to Burmese law only full citizens can study at professional institutions such as the Rangoon Institute of Technology. He qualified as a candidate for the 1990 and 2010 elections in Burma. He is also a well-known defenders of Rohingya rights. But it is not just the candidates who have been barred from the elections, many Rohingya whose families have lived in Burma for generations have also been disenfranchised by the government. Rohingya have also been allowed to stand as candidates and vote in all Burmese elections from the 1947 election for the Constituent Assembly until the last election held under the military in 2010, they were also allowed to participate in the 2008 referendum on the constitution. 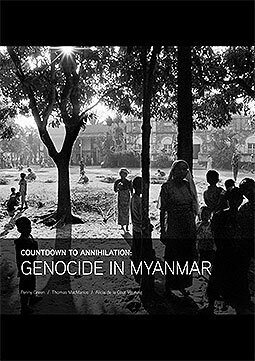 Many Rohingya see the disenfranchisement of the Rohingya as part of a concerted effort by an Islamaphobic government to drive all of the Rohingya people out of Arakan State. The statement was signed by the Arakan Rohingya Organisation, the Burmese Rohingya Organisation UK (BROUK) and Rohingya community organisations from the UK, Denmark, the Netherlands, Germany, Switzerland, Norway, Finland, Italy and Sweden. This entry was posted in English, News and tagged Arakan, European Rohingya, Rakhine, Rohingya. Bookmark the permalink.